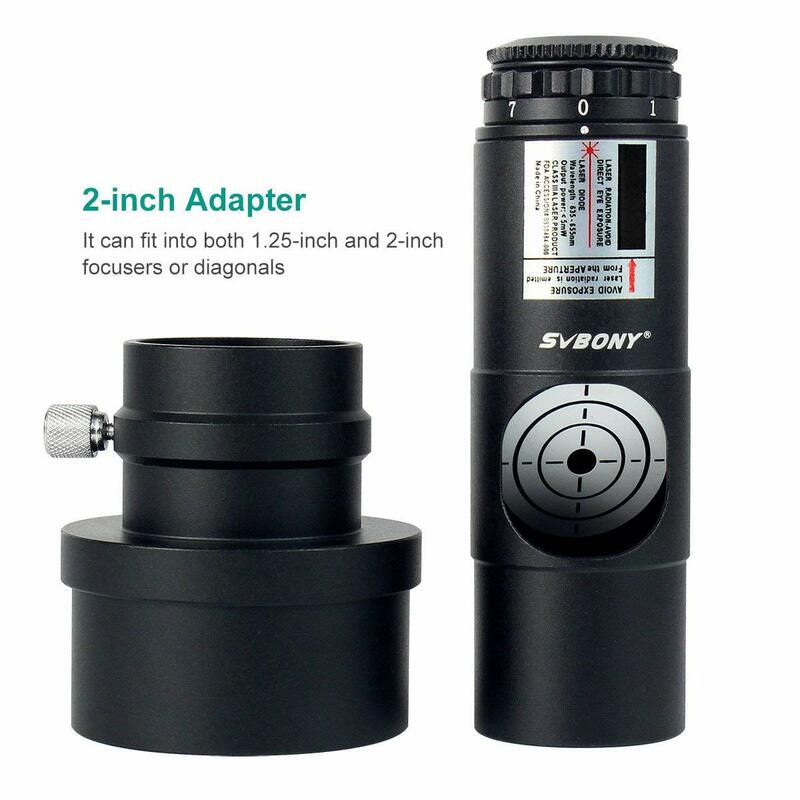 See our SVBONY shop for full range of SVBONY products. 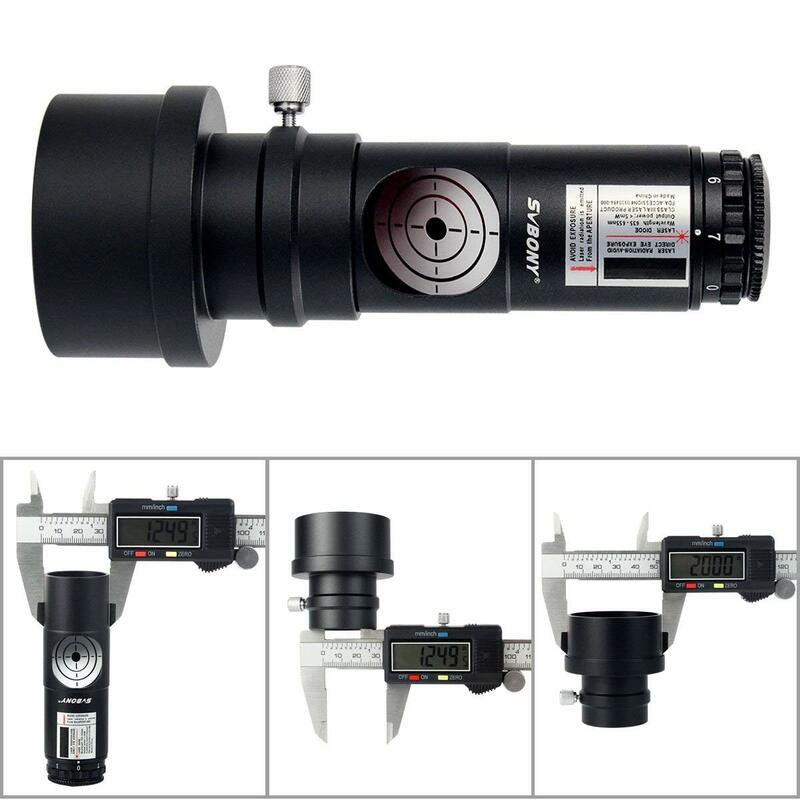 The Svbony 7 Bright Level 1.25" Laser Collimator for Astro telescope with red laser collimator is designed for accurate Collimation and is comparable with all the newtonian and SCT reflector telescopes. 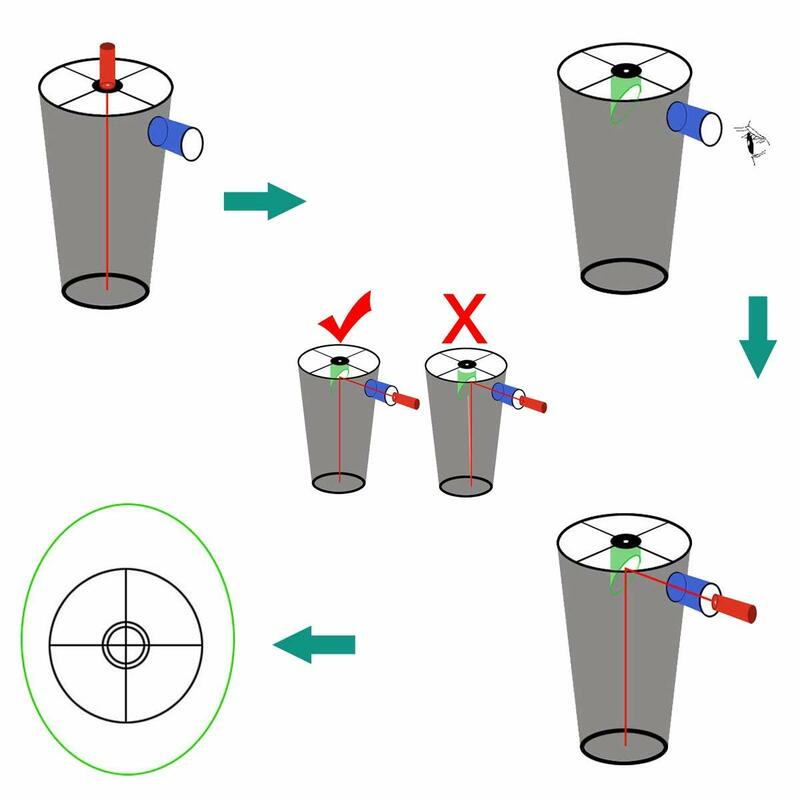 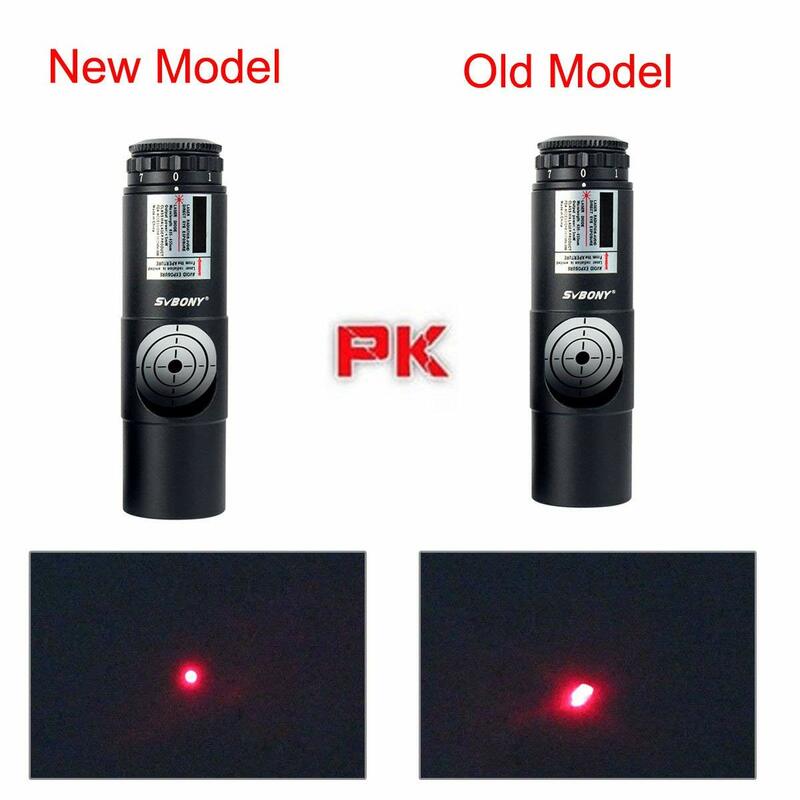 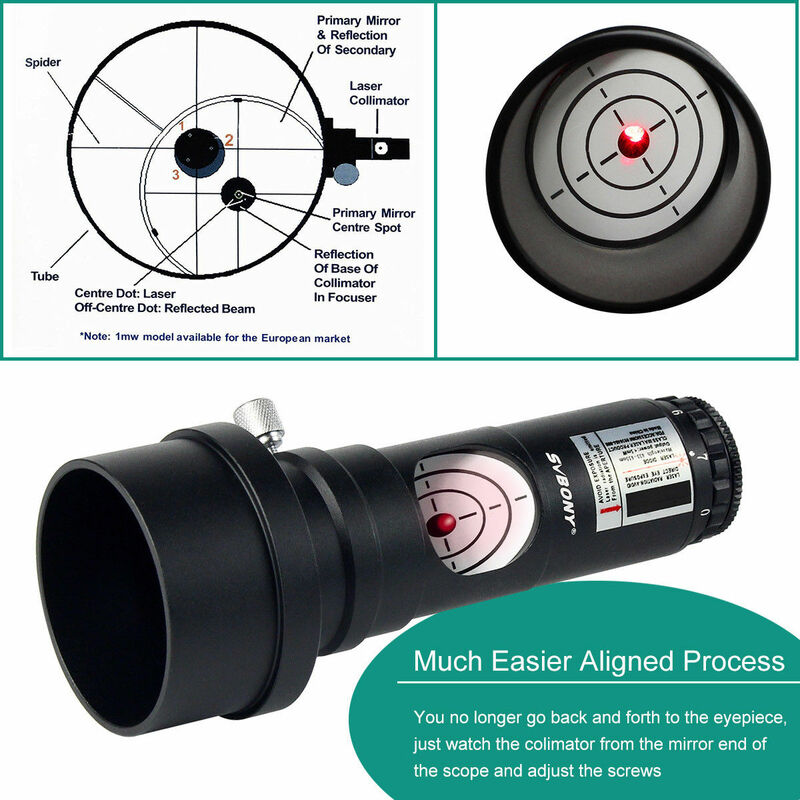 While having triple cemented material it helps the user to get better Collimation, insert it to the eyepiece holder while adjusting the beam level, adjust your telescope screw until the laser beam shots into your target.